Have you ever seen a Whalebird? 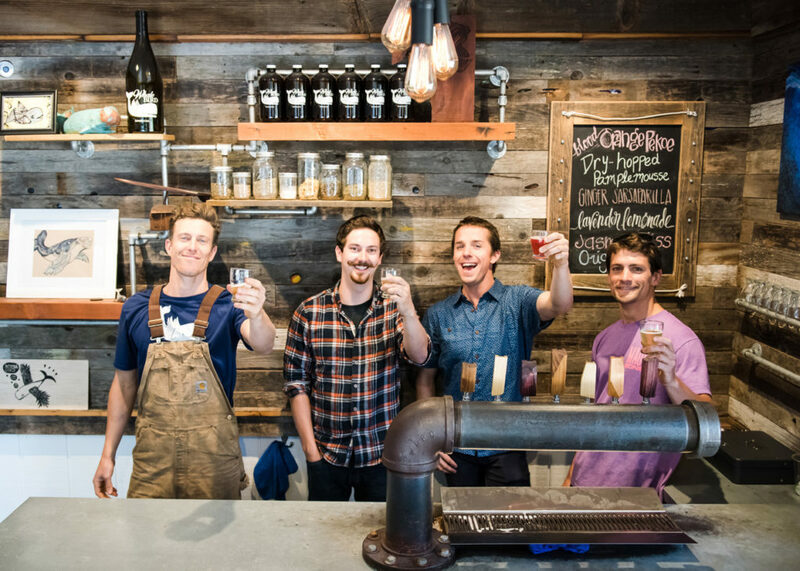 Mike and Jake, avid Kombucha brewers and the minds behind Whalebird Kombucha hadn’t either until the summer of 2014 when their lives were changed forever. It was a foggy morning on the Central Coast when the duo jumped into the ocean after their morning pint of Kombucha for an ordinary spearfishing excursion. While diving amidst a thick cluster of kelp, Mike saw what appeared to be a huge whale move quickly through the water, breach the surface, then disappear from view as if it sprouted wings and flew away, the only reasonable explanation. Make the best Kombucha the world has ever seen and spread its fizzy goodness across the coast in the hope that one day the wonderful and mysterious Whalebird will be found. 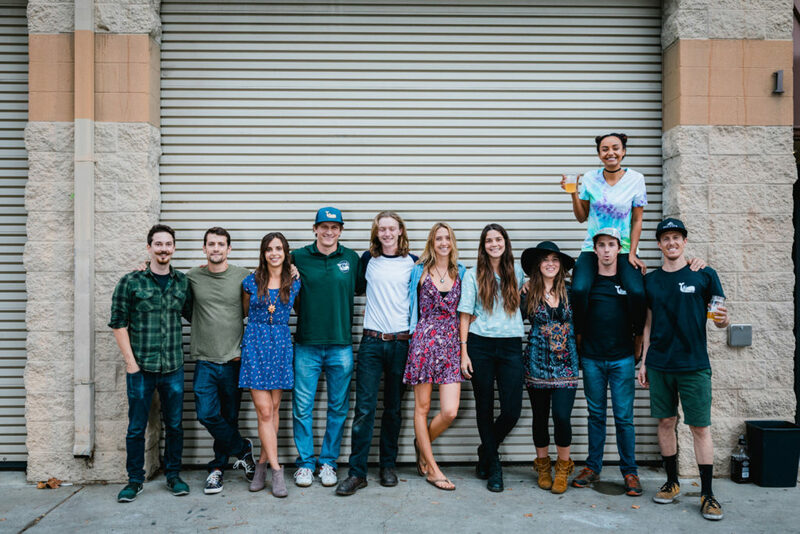 Today, with the help of a small but passionate team, they handcraft an uncompromising Kombucha from the heart of San Luis Obispo. 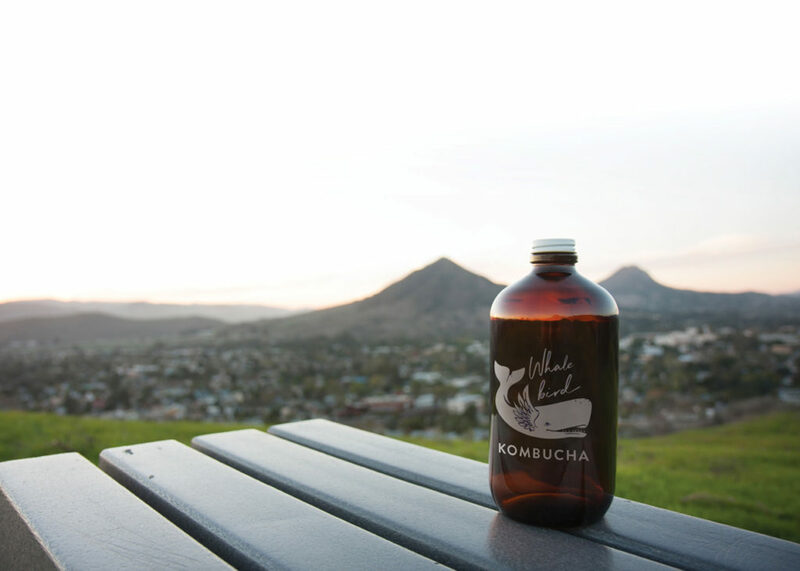 Thanks in part to native strains of bacteria and yeast, Whalebird Kombucha is sessionalbe and refreshing while maintaining the low sugar, strong culture, and beneficial acid that makes Kombucha so good. Beyond the brew, sustainability is key, which is why the team loves their kegs, taps, and growlers. They hope that the next growler you buy will be reused many times and become your best friend on life’s daily adventure. 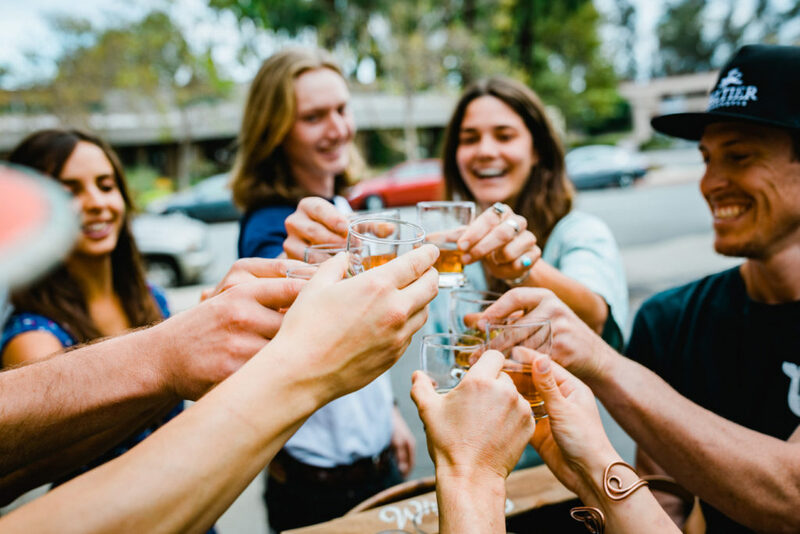 Make the best tasting kombucha with organic and ethically sourced ingredients and set a new standard for how emerging companies can prioritize global health over profit. We are exploring methods to advance the health and wellness of our team, community, and environment. To stay up to date on our short term goals, check out our Current Mission below. Do no unnecessary harm – As a kombucha company we create waste and even though all of our ingredients are organic they are not all sustainably and ethically sourced. Knowing this, we are constantly identifying and taking action on how we can waste less and source better. 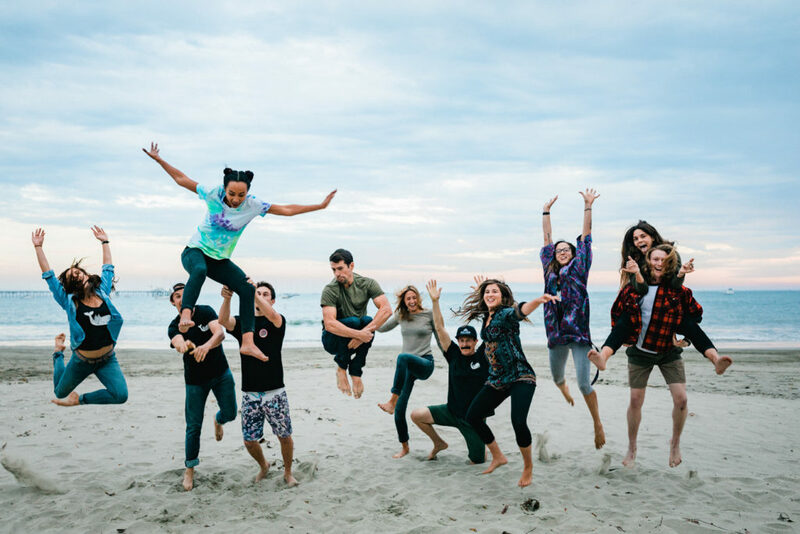 Continuously improve the health and wellness of our team, community, and environment – We are creating a fantastic work/play balance with opportunities above industry standard. When armed with a healthy team, we have the margin to extend our resources into our local and global communities to effect positive change. Integrity – No matter the outside influence, we will remain honest and treat others by the Golden Rule. Non-Pyramidic Hierarchy – For Whalebird to survive, we need guidance from the entire team. To encourage this type of participation, we consider all ideas based on not who pitched them but the quality of the idea alone. Be leaders not bosses – We are culturing an environment of autonomous, badass, self-starters and refuse to micromanage. Quality is Queen – We use unique, premium, organic ingredients to make a fabulous and consistent kombucha every time. Put extraordinary effort into the things that others only joke and dream about – Nerf gun wars, sick interactive parties that raise money for entities of positive change, and working towards being employee owned are just a taste of what is to come! Remember that it’s just kombucha – At the end of the day, we make what hundreds of other kombucha companies throughout the world make, a sparkling, probiotic tea, but by leveraging it to impact positive change, then it becomes something much more. Purchase only fair trade or ethically sourced for our base teas and cane sugar. If possible source directly from the farmers and ensure that the laborers are being paid and treated well. Create a grey water catchment system to re-use spent water in our toilets. Replace all of our incandescent lights with LED’s. Become California Green Business certified. Source 100% of our electricity from solar power. To raise money for local nonprofits whose goal is to strengthen the health and wellness of local people and or the environment. To raise awareness about pressing issues within and outside of our community and provide an outlet for people to effect change. To attract talented bands and musicians to serenate us while we sip spiked kombucha and mingle with new and old friends. To have a really good time! Source 100% organic ingredients as close to our facility as possible. Compost 100% of our spent ingredients, SCOBY’s, and any food waste from our facility. Implement 100% stainless kegs and glass growlers to cut down on plastic waste. By the end of 2019 we will have saved 50,000 lbs. of plastic just by using stainless kegs instead of one way plastic kegs. As the year moves on, you may notice that we periodically add things to “In Progress” as they come to us. We welcome you to reach out, check in on our progress, and if you have any ideas on who we should partner with next let us know on our contact page!